What's better than a single LED? Lots of LEDs! 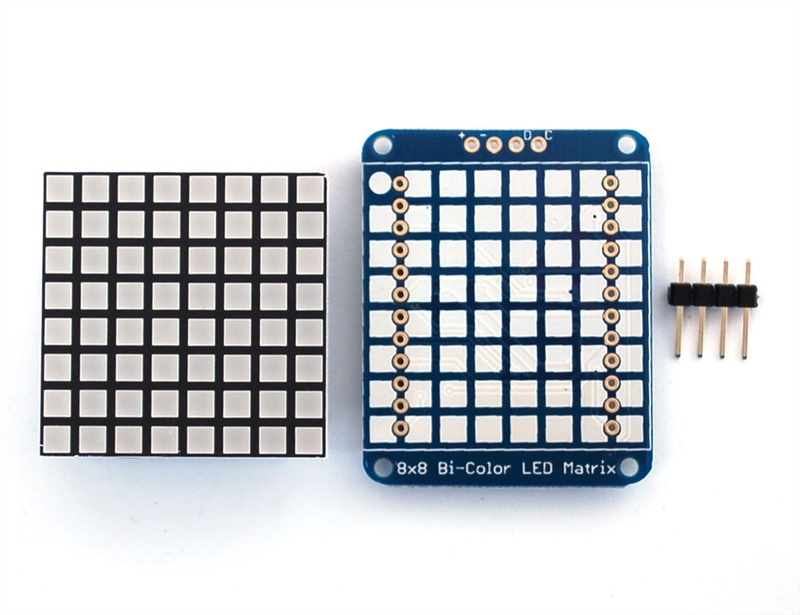 A fun way to make a small colorful display is to use a 1.2" Bi-color 8x8 LED Matrix . Matrices like these are 'multiplexed' - so to control all the 128 LEDs you need 24 pins. That's a lot of pins, and there are driver chips like the MAX7219 that can help control a matrix for you but there's a lot of wiring to set up and they take up a ton of space. Here at Adafruit we feel your pain! After all, wouldn't it be awesome if you could control a matrix without tons of wiring? That's where these adorable LED matrix backpacks come in. We have them in three flavors - a mini 8x8, 1.2" Bi-color 8x8 and a 4-digit 0.56" 7-segment. 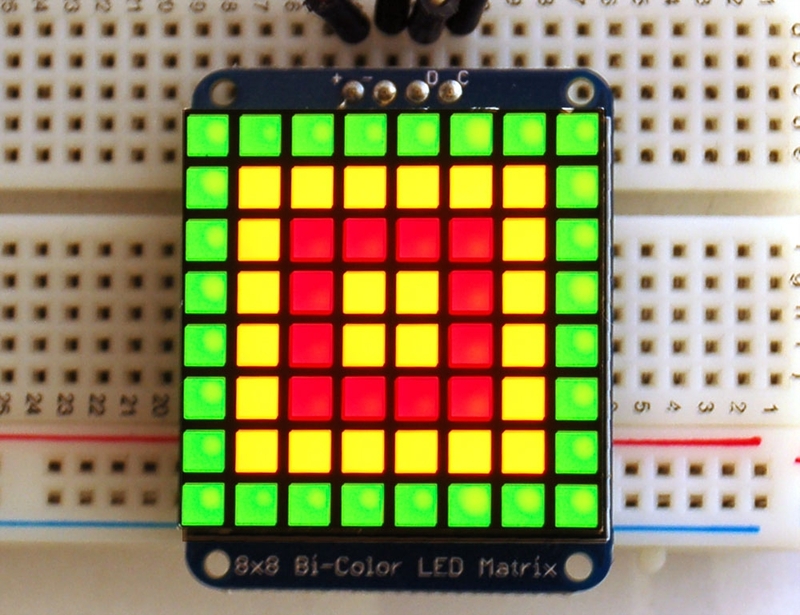 They work perfectly with the matrices we stock in the Adafruit shop and make adding a bright little display trivial. 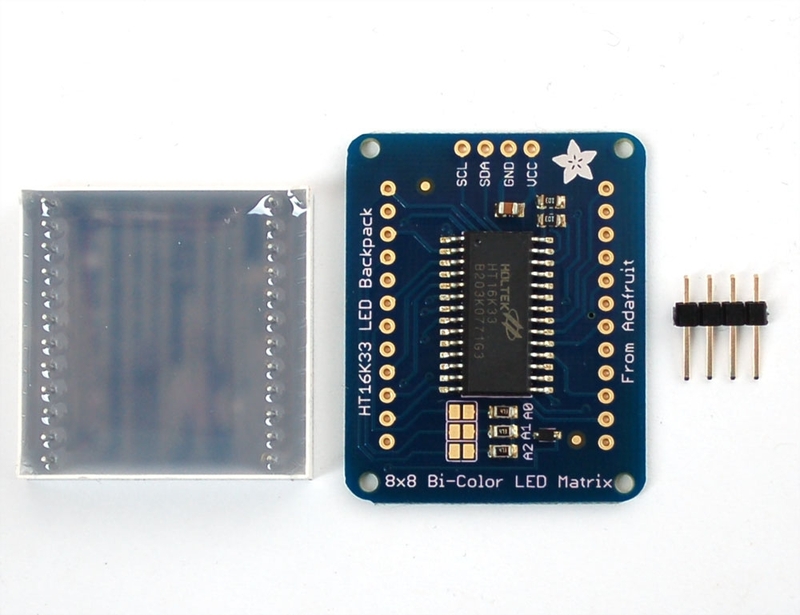 It's called a Bicolor LED, but you can have 3 colors total by turning on the red and green LEDs, which creates yellow. That's 3 colors for the price of 2!